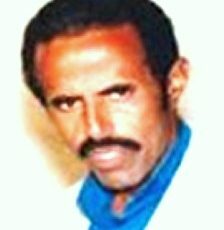 ASMARA, ERITREA (BosNewsLife)-- Eritrean Pastor Oqbamichel Haimanot, who was jailed for participating in a Christian wedding and leading "outlawed" evangelical churches, has been released after 11 years behind bars, his supporters told BosNewsLife. ASMARA, ERITREA (BosNewsLife)-- Islamic militants have abducted some 100 Eritrean Christians, including women and children, in two separate kidnappings in Libya and Sudan, well-informed activists and Christians have told BosNewslife. 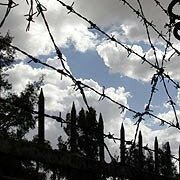 ASMARA, ERITREA (BosNewsLife)-- Christians in Eritrea's capital Asmara remained concerned Thursday, May 1, over the plight of five fellow believers after they were detained while training to be pastors in the capital Asmara. ASMARA, ERITREA (BosNewsLife)– Human Rights Watch has described it as "a giant prison" and Reporters without Borders calls it "the most repressive nation on earth". The advocacy groups speak about Eritrea where Isaias Afewerki is celebrating his 20th anniversary as president, though the United States described him in a 2009 leaked diplomatic cable as an "unhinged dictator". ASMARA, ERITREA (BosNewsLife)-- There was uncertainty Tuesday March 5, about the situation of 125 Eritrean Christians who were "beaten and detained" in western Eritrea as part of a new government campaign against Christians worshiping outside the state-backed churches, rights investigators said.